A little background is in order before we begin… Three years ago Suhee and I were commissioned by Aichi University of the Arts to undertake a community engaged art project on the island of Megijima, Japan which was to be part of the Setouchi Triennale. 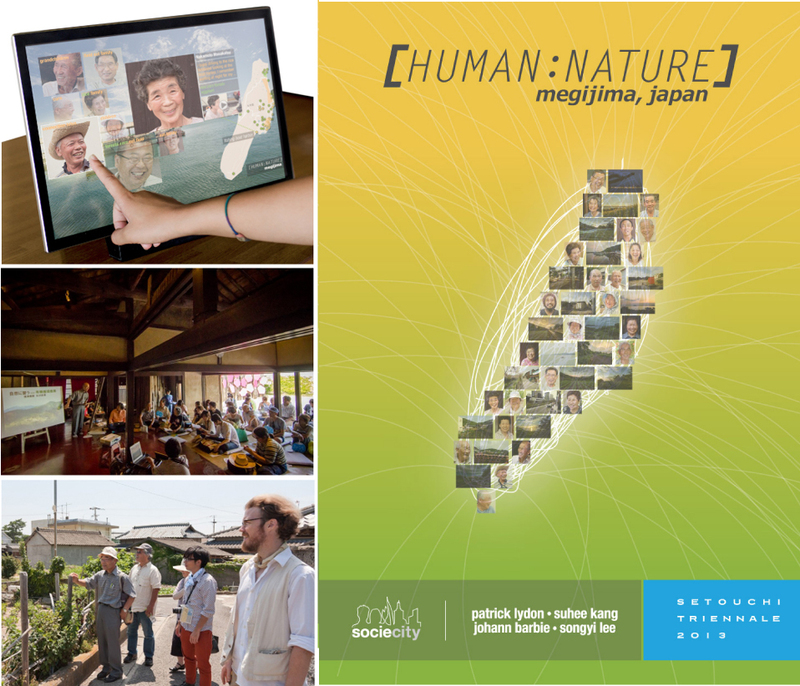 We proposed [HUMAN:NATURE], a project that involved interviewing island residents about the cultural and ecological history of the island, and their connection to the land itself. In addition to the interviews, the project included extensive landscape photography of the island, community outreach, mapping the entire island digitally, and the creation of an open source software platform and information database. With a team of four core members and nearly fifty volunteers, the project produced both a regional conference on natural farming, and an interactive documentary that allowed locals and visitors to explore the history, culture, and connections that were uncovered during the research. But the experience yielded far more than this alone. After leaving Megijima, the next year of my master’s course at the University of Edinburgh was spent digging deeper into the links between the arts, food, and sustainable communities, and really coming to terms with the magnitude of lessons that could be learned from places like Megijima. With these experiences in hand — not to mention entire film-making process for Final Straw — Suhee and I saw how powerful the experience of simply re-connecting ourselves into a relationship with nature and this earth can be. This re-connection seems well to be at the root, not only of ecological restoration, but of social and economic well being for humans and the communities they live in. It is clear for us now, that when humans see ourselves as a part of nature, within nature instead of apart from or above it, we will more easily allow ourselves to take actions that are better both for ourselves and for the nature around us. From this foundation, Suhee and I subsequently planned and hosted a series of exhibitions, workshops, and panel discussions in Europe, Asia, and the United States, with the goal of helping catalyze ideas around these concepts. The hope for Megijima — the same for anywhere on this earth, island, town, or city — is not that we’ll go back to old rituals, isolated agrarian villages, and storied culture to live it again… The hope is that we might plant the seeds for a new culture with roots deep enough to learn from our past culture as an informant to what our future culture could be… Megijima holds some very important lessons for all of our human settlements, even for the largest of mega cities … a culture on a small island who has seen the degradation of this knowledge and yet who still knows very well [the root of this knowledge, and] the answers to this question of true sustainability. A few years later, in preparation for a tour of our documentary film Final Straw: Food, Earth, Happiness, we visited the island again, to say hello to old friends and to introduce our co-producer Kaori Tsuji to this place that we held so close to our hearts. On this short visit, many opportunities for collaborations with locals began to come up again and it became clear that our goals were wholeheartedly shared by many on the island. Megijima, we thought, could be the place for our most ambitious community project yet. After that meeting our trio went into action with Suhee and me working to plan and coordinate the art and ecology content, and Kaori meeting with locals, arranging schedules, and securing farmland and an actual space to cook, serve, and exhibit on the island. 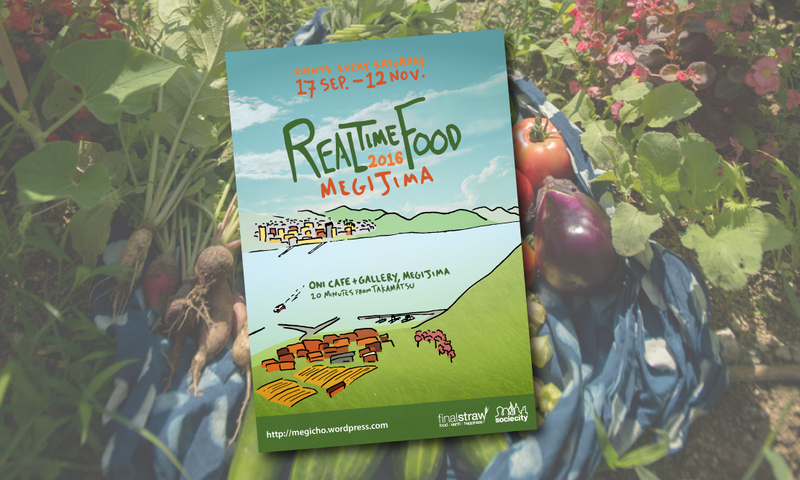 It is with a lot of work, and a good bit of luck, that we can now invite you to join us as we return to Megijima to launch REALtimeFOOD: The World’s Slowest Restaurant! 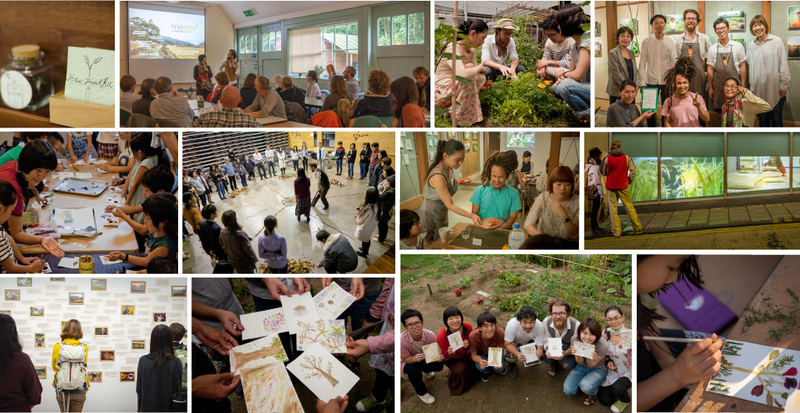 Founded in 2011, the Final Straw team fosters human relationships with nature, cultivating ecologically interconnected ways of thinking and being. Working across genres of documentary film, temporal installation, farming, culinary art, and social practice, they have had the pleasure to work with audiences in East Asia, North America, and Europe. In 2015 they released a well received feature-length documentary film titled Final Straw: Food, Earth, Happiness, completed an extensive 110-date screening tour, and saw the pioneering of their first REALtimeFOOD project in Osaka, Japan.